The arrival of fall heralds cooler weather that’s ideal for exploring Atlanta during the harvest season. The city is the perfect destination for spooky and spectacular sights, offering haunted houses, zombies, mummies and more. NETHERWORLD Haunted House is a walk-through attraction filled with live actors and special effects that was created by film and television professionals in 1997. The Travel Channel has called NETHERWORLD a “Hollywood-Caliber Haunt Mecca” and is considered one of the top haunted houses in the country. The Walking Dead series films in the metro Atlanta region to portray the dismal future of its characters during a zombie apocalypse. Atlanta Movie Tours allows visitors to explore filming locations around the city on the Big Zombie Tour. Walking Dead fans will instantly recognize numerous spots from the show including The Goat Farm Arts Center and the Jackson Street Bridge. The Michael C. Carlos Museum at Emory University has its very own collection of mummified residents. 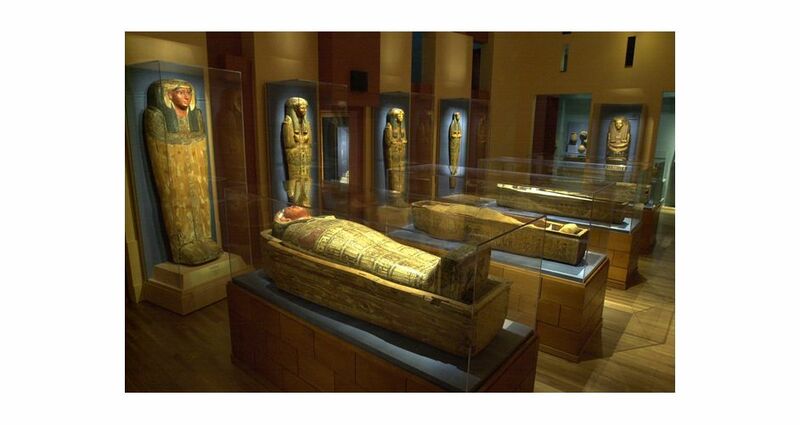 The exhibit contains several Ancient Egyptian artifacts and coffins, including the oldest Egyptian mummy in the Americas. Even the lost pharaoh, Ramesses I, laid resting here until the museum returned the mummy to its original home in Egypt. Six Feet Under is a pub in Grant Park that features a roof-top deck offering panoramic views of downtown Atlanta as well as Historic Oakland Cemetery. Enjoy a Laughing Skull Amber Ale from Red Brick Brewing Company while listening for the ghostly roll call of the departed from the cemetery below. For more Halloween fun in Atlanta, visit www.atlanta.net/events/seasonal/halloween.